It’s time to stop cheating on your loyal customers An e-commerce marketer or entrepreneur always looks for how to drive more traffic and sales for their business. They get many pieces of advice from people on how to double their e-commerce sales or how to get more traffic to their store, but most of it […] The post Doubling your e-commerce sales the non-generic way appeared first on e27. An e-commerce marketer or entrepreneur always looks for how to drive more traffic and sales for their business. They get many pieces of advice from people on how to double their e-commerce sales or how to get more traffic to their store, but most of it is generic, and in many cases, outdated. In this article, I want to avoid the obvious or — let’s say the general type of advice — and share some of the more advanced strategies that most of the successful e-commerce businesses are already using to gain competitive advantage. Well, I’m not saying that all of these strategies will help everyone, but I hope you’ll get some good ideas and can experiment the same. Here are some of the tips which might help you to get more traffic and sales to your store. Many times we tend to forget our existing customers, who are our happy buyers and a significant loss for us to ignore them. Many online stores think that they don’t have enough customers when their business has trouble ‘growing up’. This is the most common misconception, so don’t jump into conclusions. Instead of focusing on getting new customers, you should think about how to go ahead with customer retention and plan your strategy accordingly. Repeating customers are the reason for generating 40 per cent of your store’s revenue. Loyal or say repeating customers add more items to their shopping carts, generate more revenue each time they visit your site and have a higher conversion rate compared to new customers who are yet to purchase from your website. Although I concede that it is a necessity for your business to get new customers, that’s a more expensive marketing strategy. In fact, going after your existing customer base is much more cost efficient. Why? Because these people are familiar with your brand, and there’s no learning curve. So focus on improving their experience. We all love to see videos, and if you do a video demonstration of your products on your e-commerce site, it’s more likely that the visitors might convert into buyers. Many experts have talked about the importance of video demonstration and that it gives a better ROI than other marketing tactics. According to a survey, 84 per cent of customers have been convinced to purchase after watching a brand’s or product’s video. This creates an increase in visitors and interest in what you are trying to sell. As videos resonate more with people, it is likely that they’ll remember what they saw as opposed to just reading about it. Listing is one thing, but showing customers how the product will work through video demonstration is much more effective. This strategy wouldn’t work for all products though. For example, if you are selling underwear, you can’t possible show how to put them on. 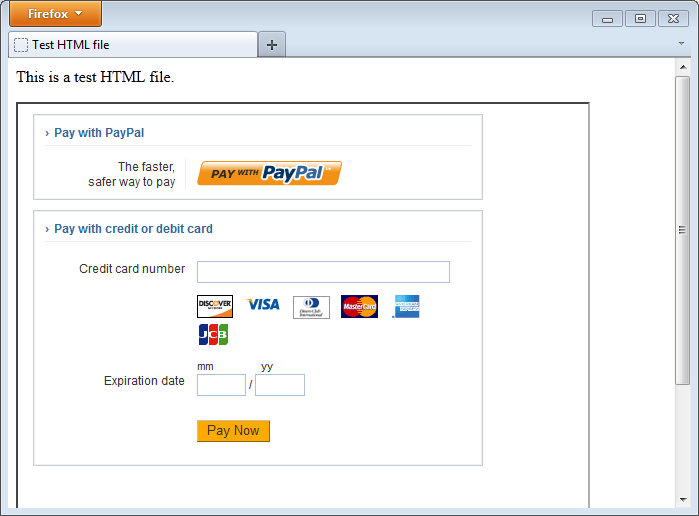 Nobody will want to buy from your site if the icons on your website appear sketchy. So the most important thing to do is make sure your e-commerce website is secured. These days cybersecurity is one of the primary concern for shoppers, so having a trust seal on your online store will give the customers a sigh of relief when buying from your website. These icons prove that your site is fully secured and has a secure payment method indicating the safety concerns of buyers. Any potential hacker will not breach your personal data. Here are some of the popular choices. Information security is a top priority for online shoppers. If you are confused about what to do to prove that your website is trustworthy, just proudly display the security badges that your website uses. As the use of smartphones is increasing nowadays, buyers are now frequently using their mobile devices to shop online. According to statista, by 2021 more than half of the online sales are expected to happen on mobile devices. Google strongly recommends developing mobile-friendly websites due to the increase in smartphone users. Google prioritises indexing mobile-friendly content giving those websites ranking benefits in the SERP. The reason why Google gives high priority to mobile friendly sites is that just in the past six months, 62 per cent of smartphone users have made a purchase online using their mobile device. Offering discounts to your customers is one of the best ways to boost customer loyalty. This sounds simple, but many companies are not offering discounts to their customers. If you are worried about the profit margins, then use marketing strategies like giving out free shipping after purchasing a certain amount. It’s that simple, and you won’t have to worry about the profits margins. 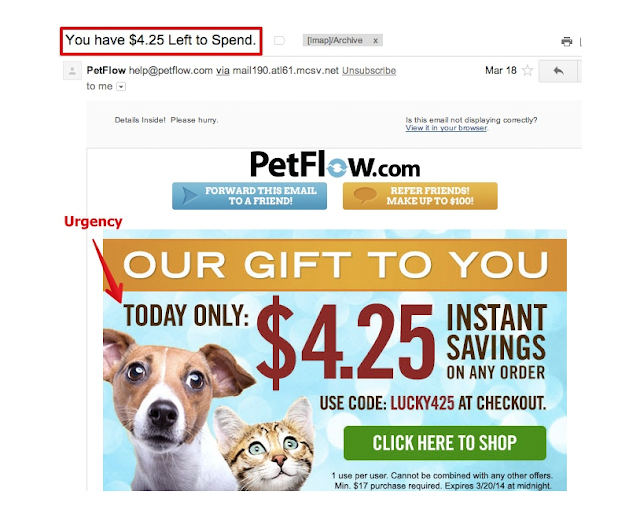 Petflow uses a strategy to create personalized urgency offers that is irresistible for a user. Have a look. Create a sense of urgency while selling products on your e-commerce site. This will get your buyers to act fast instead of buying on a later date (which they hardly do). Inform your customers that you have limited items remaining and hence they should not be left behind. The best example of FOMO I can give you is that of airlines. They do this all the time. Here they have shown two lowest prices in economy class and have kept only five seats remaining. This strategy can get most people to make an impulsive buying decision. This creates a fear of people’s mind that if you don’t buy it now, you’ll end up paying more money later. So, your business only accepts Visa. What about people using MasterCard? Or PayPal? Or Amex? Or COD? You have to give multiple payment options to the people for the products and services that your business has to offer. If you are accepting only Visa or MasterCard, then you might lose many potential customers. You can even add Apple Pay as a payment option which is growing now in popularity. By offering multiple options, you’re making it easier for customers to give you their money. It can be difficult to optimise your site to include all these options, but doing so will be a great way to increase online sales. If your sales are stagnant or starting to slow down, then it’s time for you to come out with some new marketing strategies for the products and services of your e-commerce site. Rather than trying to get new customers, focus on marketing efforts for your existing customers. Don’t forget the importance of mobile users. At least, make sure that your website is optimised for mobile devices. If you want to go an extra mile, consider having a mobile application. Also, don’t forget to promote your top selling products. Now you have a list of tips which can help you generate more traffic and sales to your e-commerce business. Good luck! The post Doubling your e-commerce sales the non-generic way appeared first on e27.